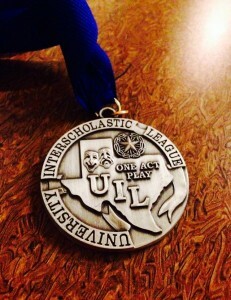 Family, broken promises, blood, and a sacrifice; these are the elements that managed to amaze the UIL judges last Monday, Apr. 7 and send MacArthur to the next level; Regionals. “It felt pretty great to be a school that advanced at an odd time with a great show,” stage manager Corbin Schnuriger, 10, said. The cast and crew of Iphigenia performed their show at 1:00 p.m. to three judges, then at 8:00 p.m. the awards ceremony commenced where MacArthur and Johnson were named as the two schools to advance. 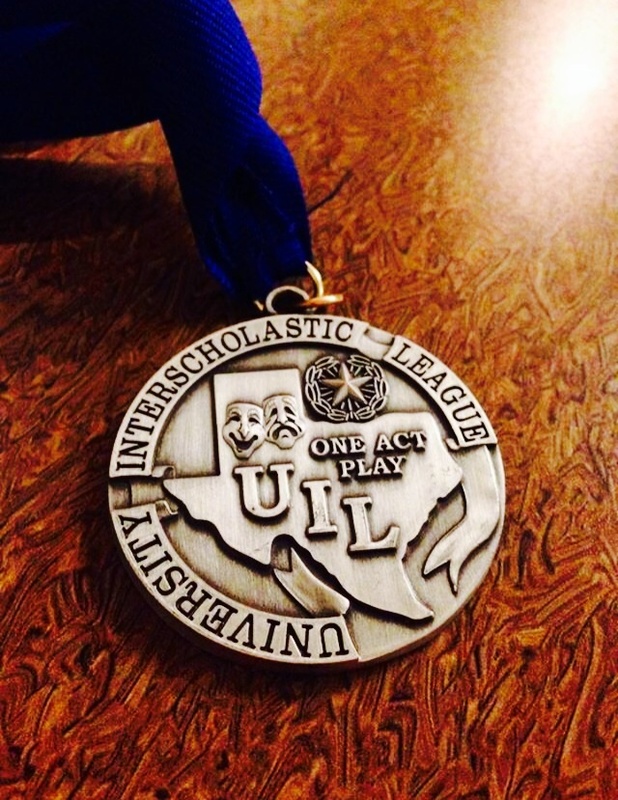 MacArthur has not advanced to the One act Regionals competition in 5 years. “The last time they advanced was with Our Lady,” Schnuriger said. 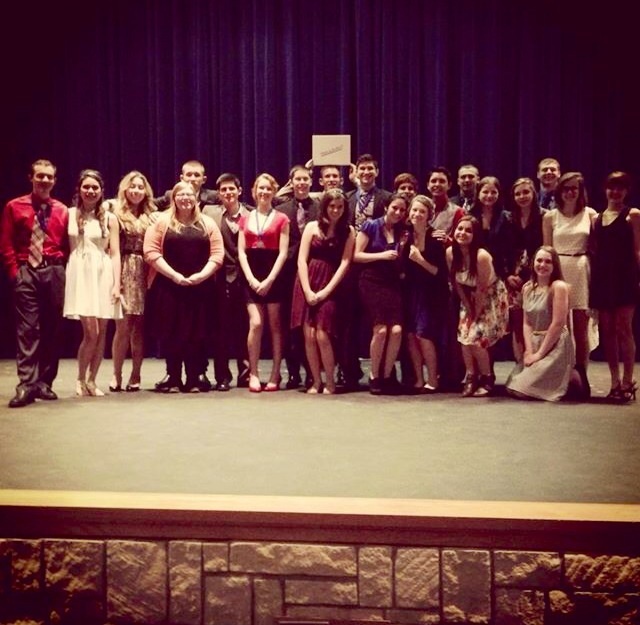 At Districts 4 members of Iphigenia were awarded with different honors. Here they are: Devon Moreno- All-Star Cast; Naomi Bird- Best Actress; Angelean McMahon- All-Star cast; Diamante Martinez- Outstanding Technician. Photo by Corbin Schnurirger. With this in mind, the show and it’s company experience added pressure, however they continue to practice and improve in hopes of advancing yet again. Iphegina‘s cast and crew will continue to rehearse until Saturday, May 3 where they will perform at Thomas Jefferson High School. They’ve put in lots of hours and had to make momentous changes to accommodate to Jefferson stage and rules. “Rehearsals are stressful, and sometimes it’s not what you want it to be but the process is all worth it,” Schnuriger said.